Growing up in the Dallas, Texas area in the late 1970's, I was fortunate to attend numerous Star Trek conventions - people called them "cons". These weekend events were not like the big, corporate ones today. Instead they were delightfully more rinky dink: Held in aging hotels that had seen better days, they sported large dealer rooms filled with vendors selling everything from science fiction memorabilia to the new Star Wars actions figures. And then there were the movie posters. My mom took me and my friends to many of these shows. (We were way too young to drive.) Here she helped herself to some posters from a vendor from Austin named Ed Neal, who at these events carried minor notoriety because he had played Leatherface in the Texas Chainsaw Massacre. Mr. Neal was quite pleasant and a good salesman, as my mom purchased a number of posters which have since become very collectible. 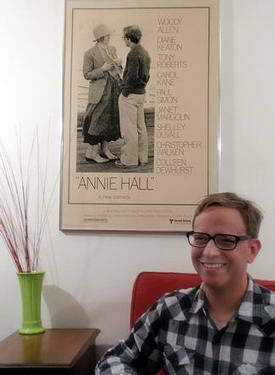 She bought a first run poster for Annie Hall, as well as one for Raiders of the Lost Ark. Collecting movie posters to this day is still a fun pastime. As I've gotten older and my interest had widened into an expanded array of movies, particularly classic cinema, it's a rewarding hobby. 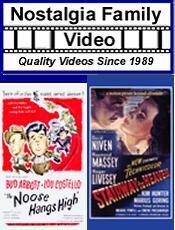 Check here for all the current auctions for movie posters related to Woody Allen.